Rileigh Gerges is the daughter of Joe and Shana Gerges. Rileigh is currently in her junior year of High School, she has been playing softball since she was 5. 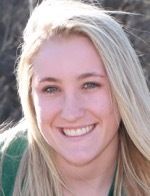 In addition to softball, Rileigh has also a member of the Hornet Volleyball team and plays travel softball. In her free time, Rileigh enjoys waterskiing, wakeboarding, and spending time with her family and friends. Clymer, Brought homer to lead Lady Hornets past NEB. Lady Hornets avenge early season loss to Towanda. 7 Lady Hornets named to All-Region softball team. Lady Hornets finish regular season with 6-4 win over Troy. Lady Hornets knock off Loyalsock in extra innings. Lady Hornets tee off on Coudersport. Lady Hornets top CV 12-1 for seventh straight win. Lady Hornets roll past Williamson. Lady Hornets shutout Sayre, 6-0. North Penn-Liberty's Doney All-Region softball Player of the Year. Troy edged in 10 innings to just miss districts. Wellsboro's Yungwirth no-hits Jersey Shore. Waverly's Hammond throws perfect game; Notre Dame routs Edison.